James Insurance solution is the insurance company that provides assistance for commercial insurance, personal insurance, flood insurance, workers compensation insurance and auto insurance. 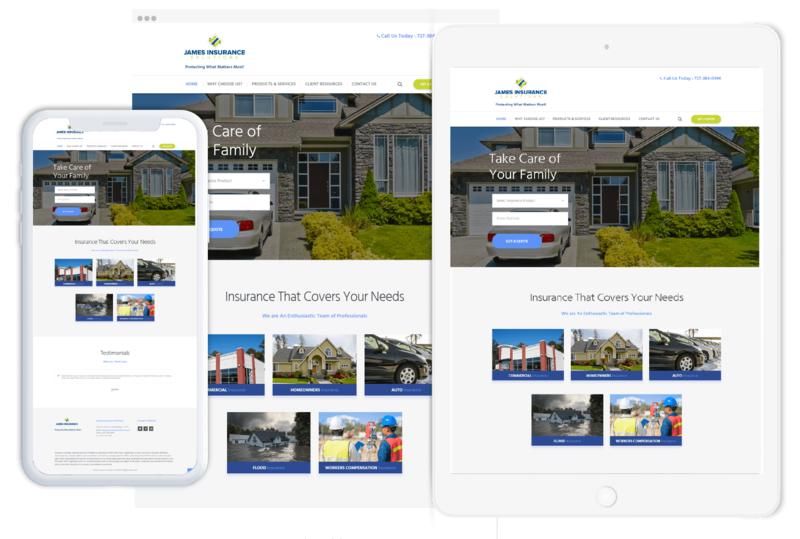 Website of this insurance company is built by our experienced web developers which have helped them to exhibit their services to potential customers. Our social media marketing team have successfully promoted the services of this insurance firm which have made a positive impact on their operating procedure. Being a diverse digital agency, Techzo has always met the demands of their clients on time with quality and perfection because there is no big pleasure for use other than our client’s satisfaction.